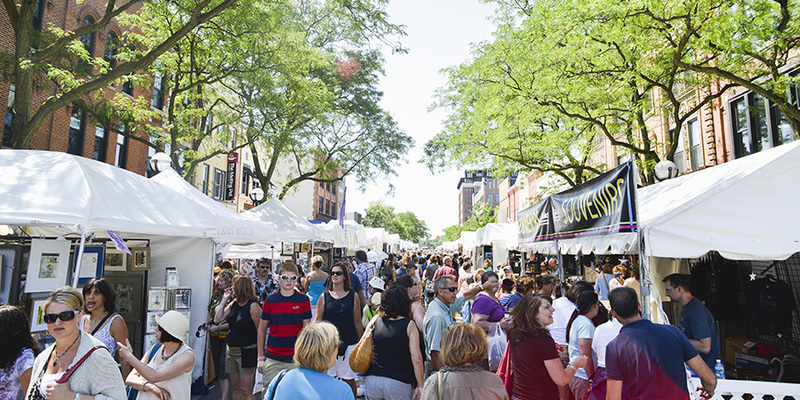 The Ann Arbor Art Fair started back in 1960 and is made up of four different fairs: Ann Arbor Street Art Fair (The Original), Ann Arbor Summer Art Fair, State Street Art Fair, and South University Art Fair. These four fairs span over 30 blocks downtown with over 1,000 artists performing and setting up booths for attendees to shop. The Ann Arbor Art Fair is not just a place to shop art, but also watch performances at one of several stages set-up downtown. Street performers, singers, sculptures, painters, etc. will all be showcasing their skills this week. The fair this year is expected to bring over 500,000 people to Downtown Ann Arbor throughout the course of the week. 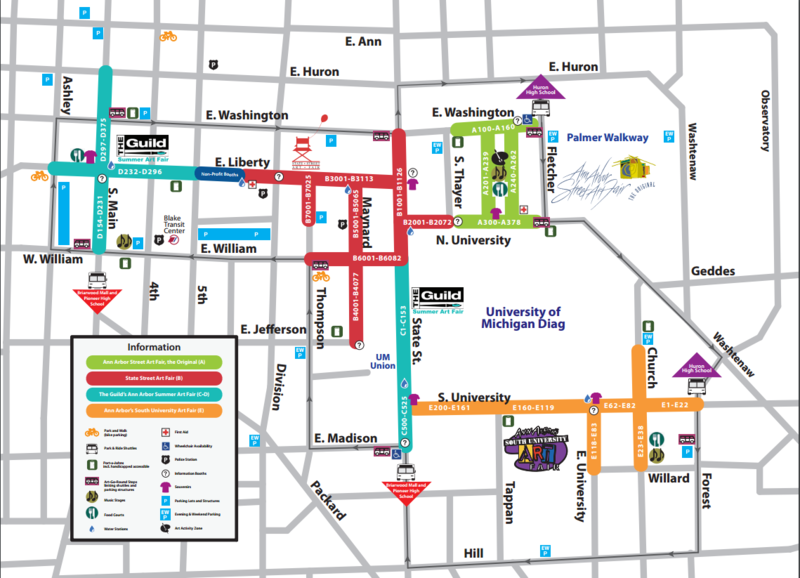 This is where all of the different fairs for The Ann Arbor Art Fair will be. For all three locations parking is free, but the shuttle costs $3 for round-trip & $1.50 for one way. As you can see in the map to the right, certain streets downtown will be closed for the duration of the fair. If you use these streets in your daily commute, plan ahead on not being able to get through. In years past the Ann Arbor Art Fair always went from Wednesday to Saturday. To allow for attendees to enjoy the fair throughout the weekend, the organization has changed the fair dates this year to be Thursday (July 21) thru Sunday (July 24). The fair is open from 10 a.m. – 9 p.m. Thursday to Saturday and from Noon – 6 p.m. on Sunday. All four of the fairs are all free to attend. PARKING: Parking at various structures ($15/day, $7/after 5 p.m.) shuttles provided to fair from locations mentioned above.